At the last District Committee Meeting, the question of our district’s history, particularly its founding and name. I did some quick research, finding all Indianapolis Council districts were announced in the Indianapolis Star in January 1919. North Star was originally designated as District No. 4. Within 10 months, though, it was already called North Star. Last night, District Advancement Chair long-time Troop 358 scouted Mark Pishon sent me a historic book on Zionsville’s former Camp Wilson, circa 1945. The author does an incredible job of giving a snapshot of all of Central Indiana Scouting. It includes the list of all units and their Chartered Organizations. In this same document, you can see that the Central Indiana Council had moved to designating districts by directional names: North, East, Central, etc. 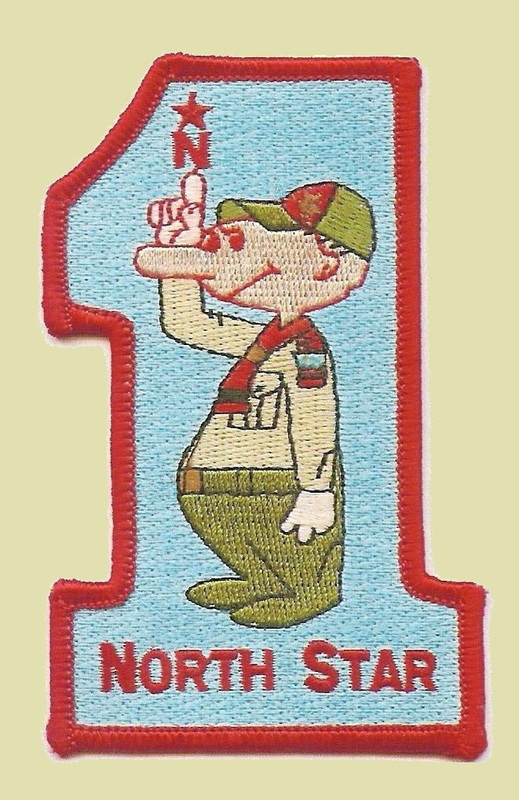 First appearance of Willie North in North District’s 1956 Winter Camporee patch. In his history of North Star District and North Star Willie, the late “Uncle Mikey” Stalcup wrote how the name of the district returned to “North Star” several times. This history focuses on the logo, but there are some interesting bits about other reorganizations of the district from 1963 to 2003. Cub Scout Camping: When do we schedule it?